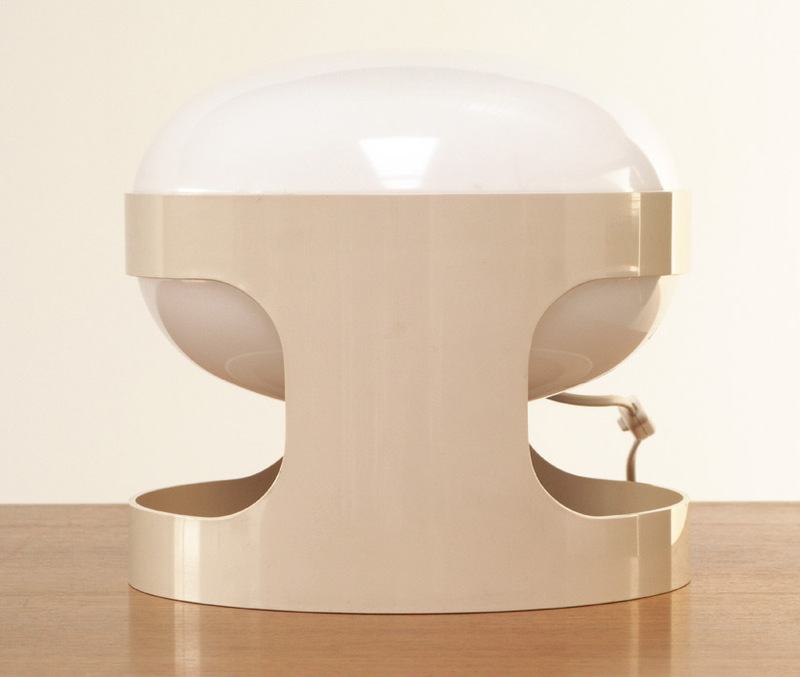 White KD27 Joe Colombo table lamp, constituted from a plastic emptied cylinder as base supporting a double circular cap. designed by Joe Colombo for Kartell, Italy. Production year 1967.